By Xah Lee. Date: 2015-03-29 . Last updated: 2015-11-06 . 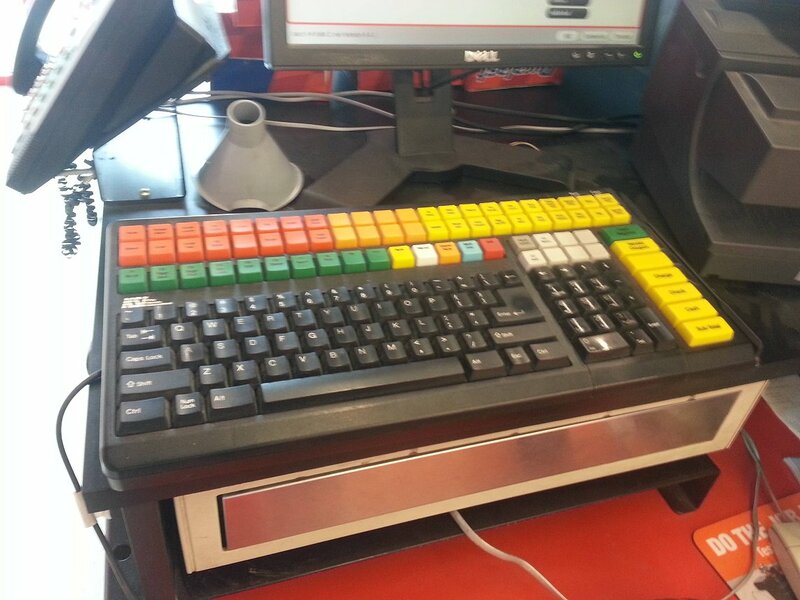 This keyboard is “Wombat Programmable Keyboard with Barcode Port”. This could be a great keyboard. Lots function keys. One-keystroke for everything. But, the problem is that the function keys are in a neat array, so that it is impossible to touch-type the function keys. You have to look, to read the labels. 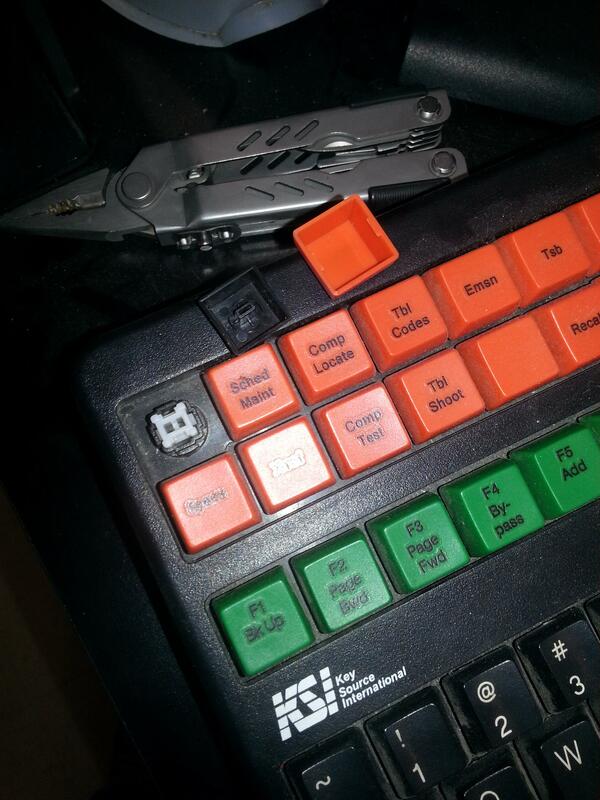 point of sale keyboard, mechanical key switch.